I’m super excited and humbled by all of the people who have volunteered to help me during my recovery!! today I have yet another awesome blogger for you! 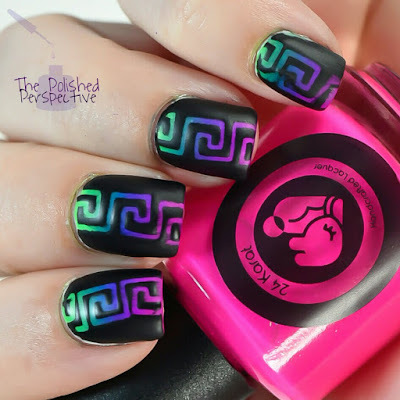 Let’s take a look at what Kim from The Polished Perspective prepared for us! Hi everyone! I blog over at The Polished Perspective and I’m so excited to be guest posting for Monica. I’m grateful to have met such a nice, upbeat person like Monica and I’m hoping she has a speedy recovery! 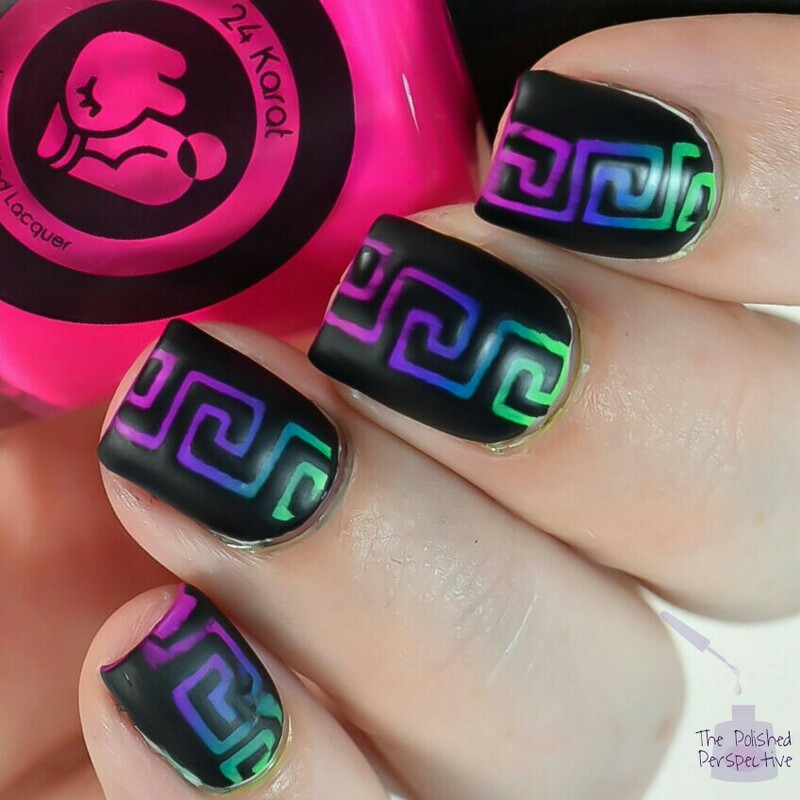 I decided to combine neons and vinyls for my first guest post! My base is a gradient of 24 Karat Lacquer A Brighter Shade of Green, 67 Angels, and Purple Haze. Next, I applied What’s Up Nails Greek Tape vinyls and painted over them with FingerPaints Black Expressionism. Then, I removed the vinyls and matted them. I love how these turned out. Here’s another shot. Thank you Monica for allowing me to post to your blog! Don’t forget to check out my blog: The Polished Perspective. Thank you so much for helping me out Kim!! 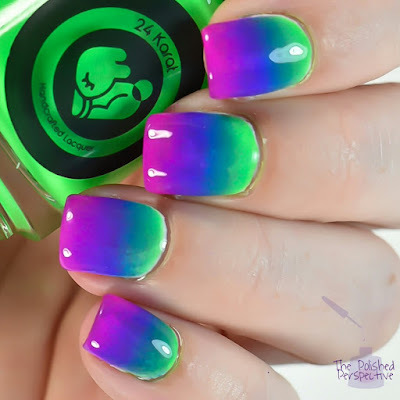 love this mani!! guys make sure to follow her on social media!